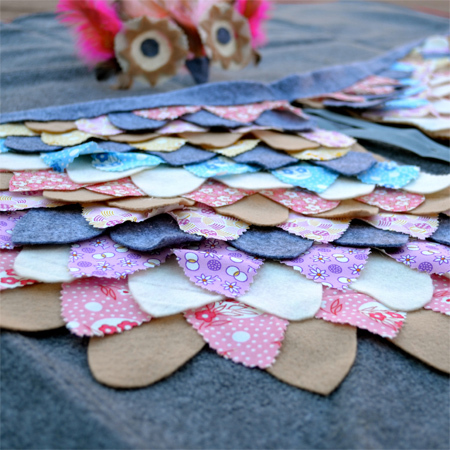 A little bit ago, I posted about the beginnings of my daughter's owl costume. Part 1 was the owl hat. It took me a while to get around to part 2, but I finally managed it. Wings! I pulled my inspiration from here (one of my favorite blogs). 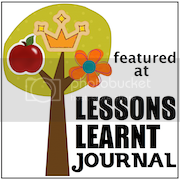 That link will take you to some other tutorials for this fun project. 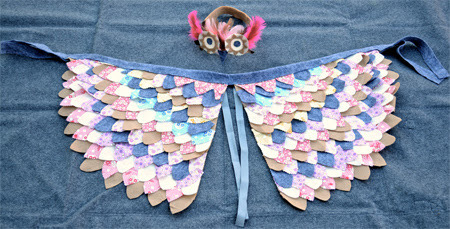 I will say that while sewing the wings probably would have been the best method, I just could never find the time nor the gumption to sit down at my machine, so I pulled out my magic hot-glue gun and had at it. It seems to have done the trick with a whole lot less pinning. 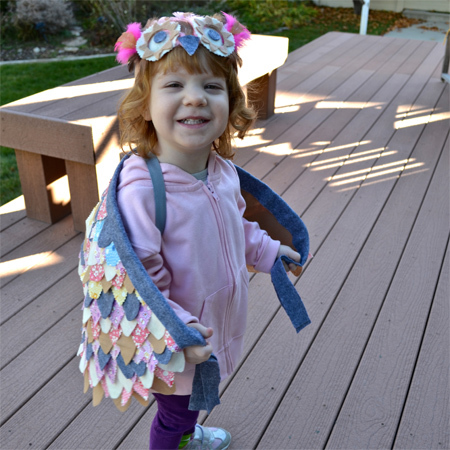 The good news is that my little owl loves her wings! Plus, I accidentally made them just a little big, so she'll have plenty of time to grow into them. I made the top binding long so that I could tie it to her wrists, but because the wings are a bit large, she is just holding on to the ties for now. I'll probably attach a small loop of elastic that will slip over her thumbs until her arms are a little longer. I'll be honest, I'm 14 weeks pregnant. I'm tired and I'm sick, so it makes me really proud to have actually accomplished this project. I'm hoping she'll get a lot of use out of her wings. SO cute! 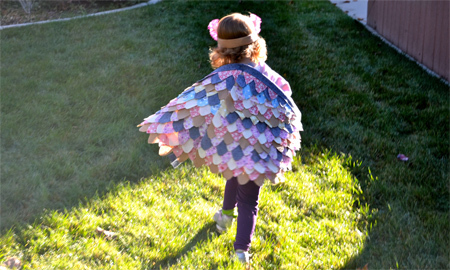 You'll have to give me all your tips and advice when I start making costumes for my little ones. That is beyond adorable! 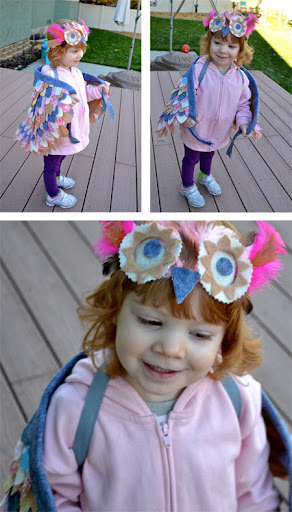 The owl costume turned out great. Your daughter looks so cute in her costume.